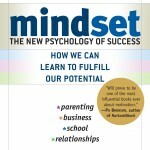 With a fixed mindset, Dweck explains that, “You believe your talents and abilities are set in stone. You must prove yourself over and over, trying to look smart and talented at all costs. Proponents of Growth Mindset theory do not blindly believe that any person can become anything that they set their mind to. What they do believe is that a person’s true potential is unknown and that there’s no way of knowing what hard work, passion, dedication or learning will yield in terms of an end result or product. In last week’s newsletter, I introduced our community to John Hattie’s research which represents the largest collection of evidence-based research into what actually works in schools to improve learning. Hattie’s research highlighted feedback as being one of the most significant positive influences on student learning outcomes. Carol Dweck further reinforces the importance of quality feedback and identified that the type of feedback or praise that we give our students can greatly impact learning outcomes and attitudes to more challenging tasks or learning scenarios. What Mueller and Dweck found was that the group that received the ability praise rejected opportunities to try more challenging tasks and ‘didn’t want to do anything that would expose their flaws and call into question their talent’. On the other hand, 90% of the group that received the effort praise ‘wanted the challenging new task that they could learn from’. When praising or giving feedback to your child we encourage all teachers and parents to use process praise. This will assist students in developing a growth mindset and forming a healthy connection between effort and achievement. You worked really hard to achieve this great result. I can see that you’ve put in a great deal of effort with this task. I like the way you tried all kinds of strategies on that Maths problem until you finally got it. I liked the effort you put in but let’s figure out what it is that you don’t understand. Everyone learns differently. Let’s keep trying to find the way that works for you. Too easy? Apologies for wasting your time! Let’s do something that you can really learn from.